You look absolutely amazing! This cover-up is awesome...I totally didn't think it was a beasch cover-up at all. Love your pool look!!! I am dying over those earrings!!! I must find!!! Cant wait to see more pics of your trip! I hope you had a great time and were able to relax!!! You deserve it mama!!! lucky, girl! 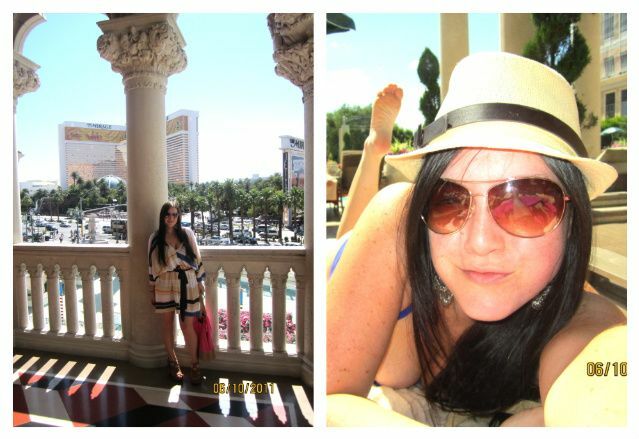 i wanna soak up the sun, vegas style!! your coverup is so pretty...love the stripes! Thanks ladies! Very sweet of all of you! And Alicia, those earrings were in shop my jewelry for a month for $3 and then I decided they were good for the pool so I pulled them! I'll send to you if you pay me for shipping!